People are being urged to support calls by a major pan-European group to halve ‘farm to fork’ food waste in Europe by 2030, on the eve of a landmark vote later this month. The European parliament’s environment committee will vote on new regulations on 24 January, which are set to shape the next 15 years of EU food waste policy and have the potential to be the most ambitious, legally binding target on food waste in the world. A new campaign urges MEPs to halve the amount of food waste generated in the EU by 2030, and for this target to be legally binding at member state level. 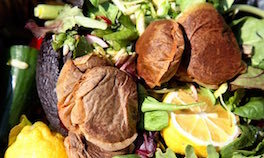 A movement of 42 organisations from across 15 countries has backed calls for the EU’s circular economy package to support a 50% reduction of food waste by 2030. Separately, 47,000 people have to date signed the public petition (28,000 from Change.org and 19,000 from Global Citizen) backing the move.